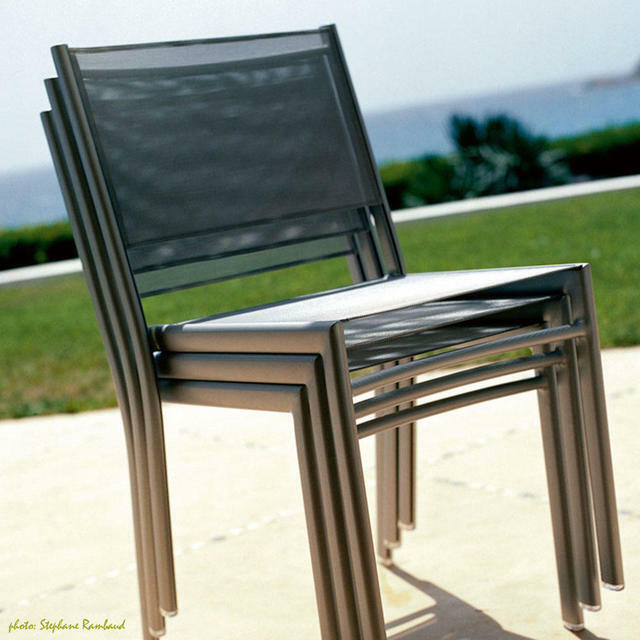 Contemporary design and fine styling combined together to make comfortable lightweight outdoor dining chairs. 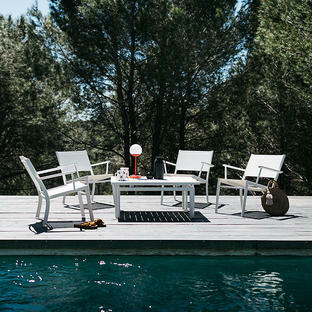 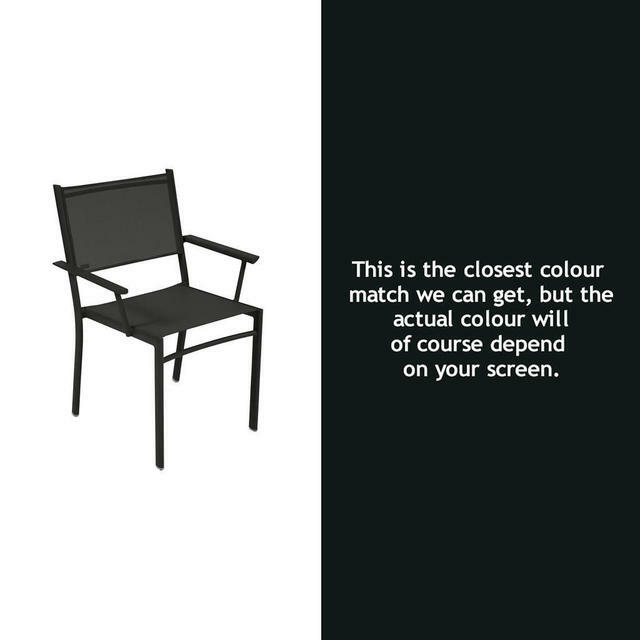 With aluminium frames and all weather outdoor fabric Costa is a practical and comfortable collection of outdoor furniture. Suitable for use in coastal environments. 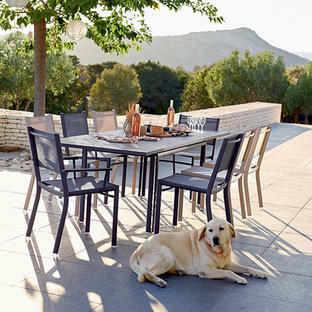 With contemporary lines and sleek tables and chairs, Costa is very at home in an urban environment. 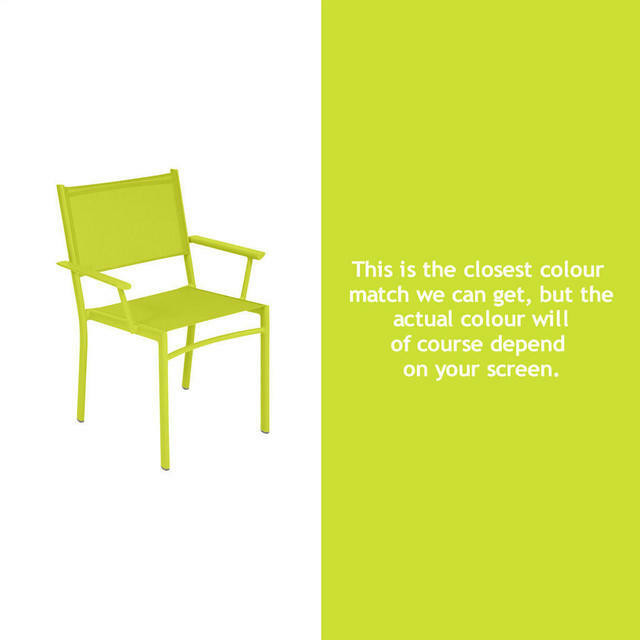 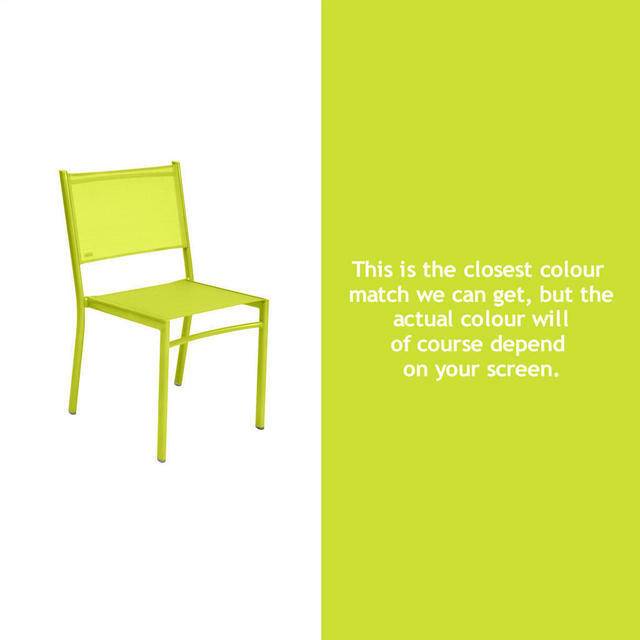 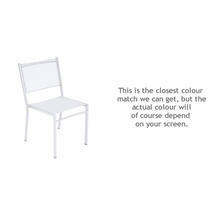 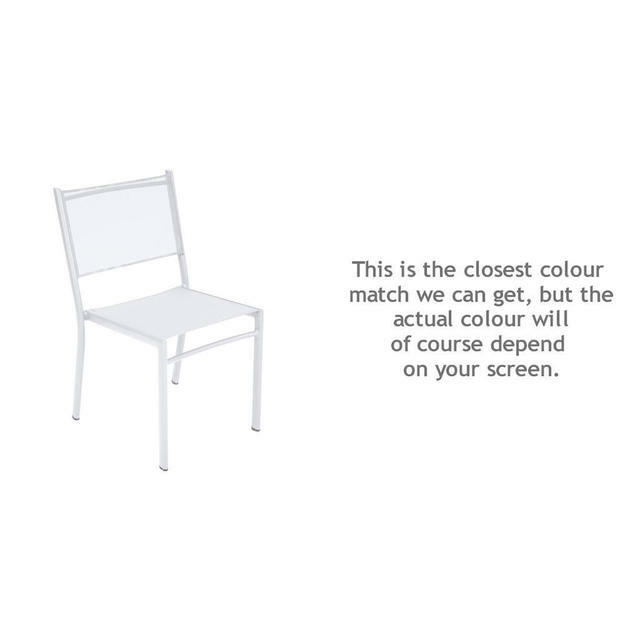 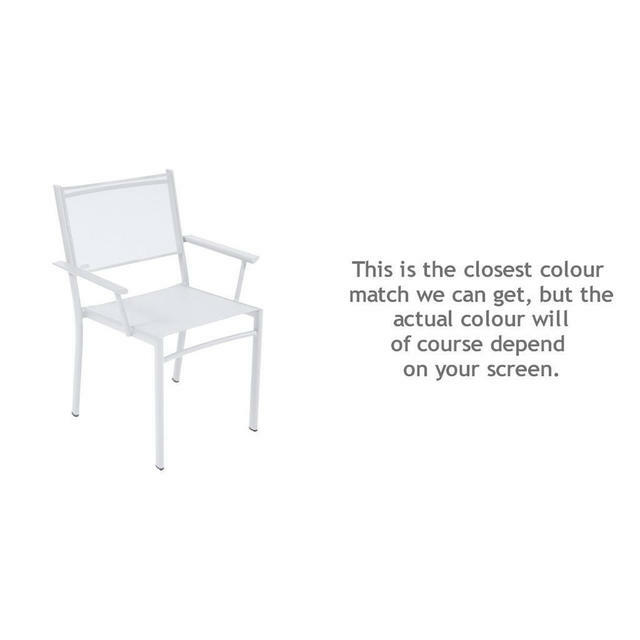 Costa chairs and armchairs are available in the 12 colours shown here. 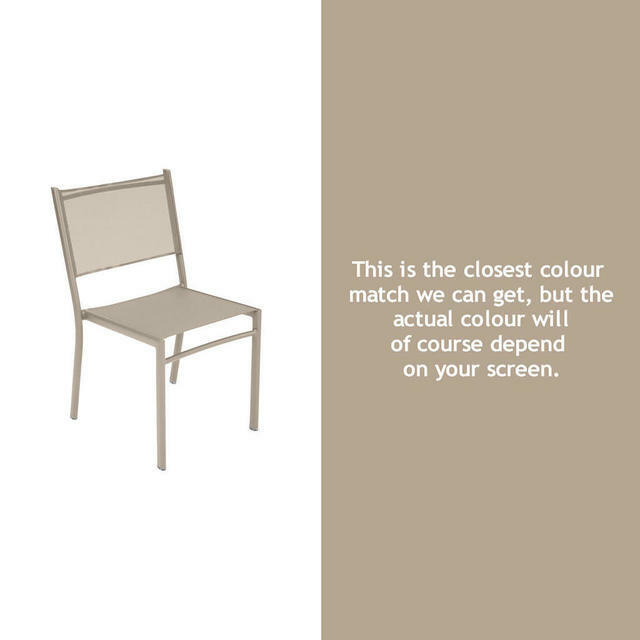 Both the dining chairs and armchairs will stack for easy storage if required. 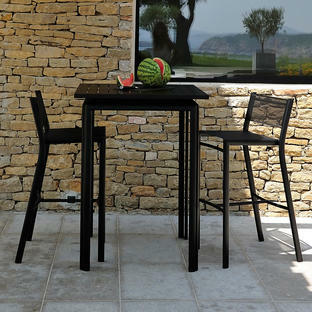 Also see Costa High Table and Chair and Relaxing furniture. If you need more advice or want to enquire if your chosen colours might be available sooner, please call us on 0345 605 2505. Made by Fermob, using aluminium frame with an anti rust treatment and 100% UV resistant powder coating to prevent fading in the sunlight. The seat and back made from Outdoor Technical Fabric, and all weather easy to care for outdoor material. Chairs will stack to a maximum of 10. Armchairs will stack to a maximum of 7.